Anyone But Modi: Twitter Trolls Vivek Oberoi For His Look In PM Modi's Biopic Again! Devendra Fadnavis, the Chief Minister of Maharashtra, unveiled the first look of Prime Minister Narendra Modi's biopic and the nation couldn't keep calm. Helmed by Omung Kumar, the film stars Vivek Oberoi as the Indian Prime Minister. Talking about the film, a source close to the makers said, "Producer Sandip Ssingh and Vivek came up with the idea of roping in the CM for the unveiling. When the makers approached him, he readily agreed. The team acquired the necessary permissions to go forth with the film only a few weeks ago. Vivek has been working on his distinct looks and will be part of extensive workshops. A big chunk of the film will be shot in Gujarat, apart from other states." The first poster was mercilessly trolled on Twitter and now the second look is out. And guess what? 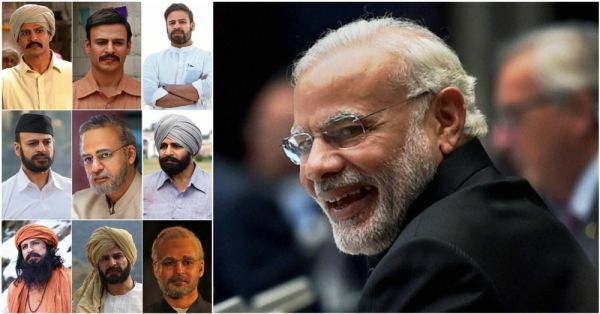 These nine different looks have become great fodder for memes and netizens are not holding back. Here's what the Twitterati feels about Vivek as PM Modi. Koi angle se nahi lag raha hai Narendra Modi. It's like he is doing 9 different biopics. What do you feel about Vivek Oberoi's look? Let us know! The makers had earlier announced that the film would hit theatres on 12 April but now it will release on 5 April, a week ahead of the general elections.